ATTENTION RESIDENTS: Currently we are experiencing warmer temperatures both during the day and the evening which is causing localized flooding. We are hearing reports of flooding in basements. What we know is that we have a thick layer of ice on the ground beneath the snow. The ground is frozen which is causing pooling of water in and the water has no where to go. 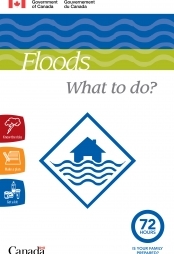 On the Quinte Conservation website they have a link to the Government of Canada's flood plan on how to prepare for a flood and knowing your risk beginning on page 2. Please refer to link below. Please ensure that your sump pumps are working properly. The weather forecast shows warm temperatures today with cooler temperatures over the weekend. What we need in our favour right now is the cooler temperatures so we can have a slow melt not a rapid one as we are having now. Please share with your family, friends and neighbours.